According to Georgia law, criminal trespass is committed when a person enters upon the land or premises of another person with an unlawful intent or purpose. A person’s premises consist of his/her home, vehicle, aircraft, and/or watercraft and are all covered under the Criminal Trespass Laws in Georgia. If you have been charged with criminal trespassing or an allegation of criminal trespassing in Georgia, Richard Grossman is the name that you can trust to find the best outcome for your criminal trespass accusation. 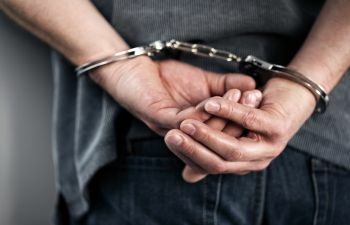 Richard Grossman is Atlanta’s reputable Criminal Trespass Attorney, and he has over 20 years of experience in successfully fighting against property crime charges. Richard Grossman fully understands both federal and state guidelines surrounding criminal trespassing, and he will build the strongest, most strategic defense against your allegations. The entire “intent” portion of any allegation leaves room for Richard Grossman to build a strong defense strategy to disprove that unlawful intents were planned. By disproving your “intent for unlawful purpose,” he can eliminate or reduce your criminal trespass charge successfully. Richard Grossman approaches each case on an individual basis because no two circumstances or defendants are alike. He will provide the most skilled legal representation available in order to fight against your charges and set you up for a positive future. Federal and state crimes will remain on your record and will be viewable to future employees, on loan applications, and more. Achieving a favorable outcome is the ultimate goal of any defense attorney, and Richard Grossman will outline the most advantageous defense strategies available to you. Call our Criminal Trespass Defense Attorney today for an initial free consultation.